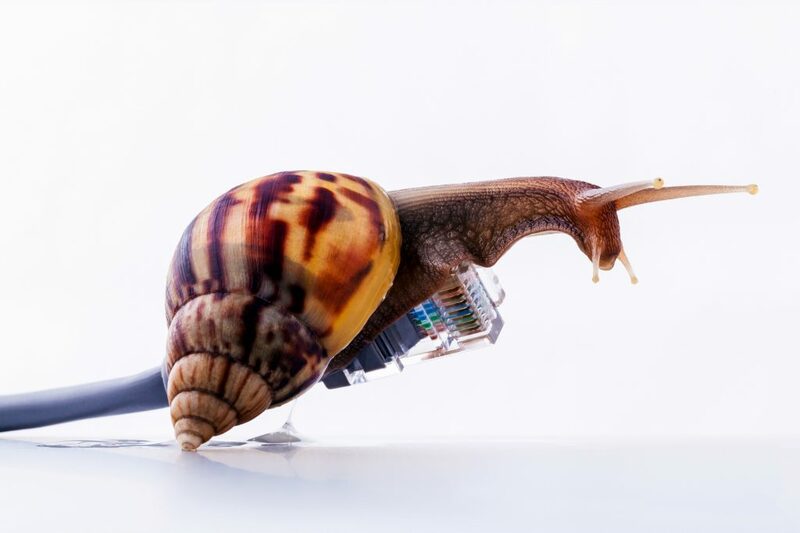 Slow Loading Websites: 15 Ways To Speed Up Your Irish Business Website | Host.ie - Linux Hosting packages for all your Irish web hosting needs. If you’ve ever managed a business website, you may be aware of the “three-second rule.” Your website needs to load in three seconds or less. After the three-second threshold, you risk losing 50% of your visitors. Unfortunately, most Irish businesses have slow loading websites. According to one study, most Irish websites take an average of 10.25 seconds to load fully on a mobile device. That’s three times the three-second rule. What’s more, three seconds isn’t even ideal. It’s merely a guideline. 47% of consumers expect a website to load in two seconds or less. If your customers are tired of waiting for your homepage to refresh itself, we’ve compiled 15 ways to speed up your website. If you don’t have a list of best practices for keeping your website fast, now is the time to start one. Why Are Slow Loading Websites So Bad? First, let’s look at why website speed is so important. As we noted before, people expect websites to load fast. And it’s more important than ever that your site loads quickly on mobile. 59% of smartphone owners in Ireland use their mobile device at least every 30 minutes. 25% of smartphone owners in Ireland use their mobile device every 5 minutes. Browsing the web on a smartphone is not like browsing the web on a desktop. Most people check their phones idly. They’re more likely to be distracted or to move on to something else if they aren’t getting what they’re looking for on a website. For many people in Ireland, their smartphone is their primary tool for getting online. In 2015, Irish mobile phone usage was the highest in the western world. In 2015, 86% of Irish consumers owned or had access to a smartphone. If you sell to consumers, you can’t afford to miss having a fast, mobile-friendly website. But even if you’re a B2B business, a slow-loading site could cause your target buyers to move on to another vendor. Website speed optimization may require some technical skills. If you don’t know a thing about coding, some of these tips may not make much sense. But any decent web developer can make use of these tips with time and effort. Before you start making changes in the backend of your website, find out if speed is even an issue. In most cases, it will be. But if you’re only missing the mark by a few milliseconds, you may not need to spend time on all the tasks below. That said, don’t test your website just once. Test it continually over a matter of days. Test it during peak traffic times and during slow times. The number of HTTP requests your website requires to load will affect its load time. An HTTP request occurs when a visitor’s browser pings your website’s server. The ping is a request for a file that the browser needs to render your website. Several files may need to be sent to the browser before your website loads. Those files may contain images, videos, and other types of content. After you’ve made changes, test your HTTP requests again. Consider making these web pages static. You don’t need to use a programming language like PHP or ASP. Simply build these pages with HTML. Cascading Style Sheets (CSS) is a language that makes web design simpler. But CSS can still get messy. CSS is used to define styles for your web pages. It includes the design and layout of your pages, but it also includes any variations between pages. It provides a visitor’s browser with the general rules of the elements of your web page and how they should look. In some cases, your CSS can become messy because of plugins or new types of web pages you’ve added. Try to create one stylesheet that contains the styles you use one every page of your website. Then, create separate stylesheets for every unique page. You’ll only need to load what you need for each page. Compressing images is one of the easiest ways to improve website speed. It helps reduce your HTTP requests as well as the sizes of your web pages. Before anything, you should include image compression into your best practices. Every time an image is uploaded to your website, it should be compressed. There are numerous free image compression tools online if you don’t have the right software. If you have a backlog of images to compress, you can usually do so systematically in your CMS. For example, WordPress has a file manager that lets you compress images. If you don’t have it already, set up GZIP compression on your server. GZIP sends a .zip file to your visitor’s browser instead of the whole file. 100KB will load faster if it’s zipped to 10KB, sent, then unzipped by the browser. A content delivery network (CDN) is a system of servers that delivers web content to visitors based on their geographic location. The network makes your website load fast no matter where someone is accessing it. For example, if you’re a business based in Ireland, it makes sense for you to host your website on an Irish server. But if you do business in the United States, a CDN can help you decrease load times for U.S. visitors. Instead of sending HTTP requests to Ireland, a customer in New York may only need to send requests to Albany. Many businesses use CDNs. They’re especially useful for businesses that must deliver large websites to users all over the world. Many content management systems generate code automatically. But this code isn’t always efficient. Even the best coding programs available produce bad code occasionally. If you’ve been in business for a while, your CMS probably holds a lot of content. Old drafts of blog posts and web pages, unused images, and redundant blocks of code can slow down your website. Take some time to delete any unfinished drafts or unused images. You should also get rid of spam comments on your blog, unapproved comments, and pingbacks. If you still have Adobe Flash running on your website, getting rid of it could speed up your load times. Flash is notoriously inefficient. Until about 2010, Flash was the go-to solution for playing video on websites. It was revolutionary when it was released. But today, most web developers despise it. Flash has too many security issues – so many, in fact, that users are often told to block websites that use Adobe Flash. What’s more, Flash doesn’t work on Apple devices. Since iPhone is one of the most popular devices in Ireland, you could lose visitors quickly if you use Flash. You should also keep any plugins you have installed up to date. Updates are important to fix security issues, but they can also improve efficiency. Broken links, also known as 404 errors, can affect your website’s load speed. When you have a broken link on one of your pages, your visitor’s browser makes an unnecessary HTTP request to discover it. If they were to click on that link, they’d see the dreaded “404 Not Found” error where a legitimate web page should be. There is such a thing as a helpful 404 page. Many websites use these for when a visitor types in their URL incorrectly. But you don’t want this showing up where your contact page should be. There are numerous SEO tools that can help you find broken links on your website. Some sites offer free tools. You may need to fix broken links one by one, but it will be worth it for your customers. A 301 redirect is always preferable to a 404 error. But 301 redirects can sometimes impact the user experience. Visitors who use old cellphone networks or slow internet services to get online will notice that your website takes longer to load. Only use 301 when you need to. Do not stack redirects. This makes your website look like a black hat site and forces your visitor’s browser to make additional requests. A plugin is a software component that adds a feature to your website. On WordPress sites, they can be used for all sorts of things. There are plugins that help you place contact forms on your website and plugins to help you do SEO, for example. Third parties typically develop plugins and often share them for free. These third parties will update plugins regularly. But it’s often up to you to download and install those updates. Inevitably, some plugins become obsolete. If you forget to fully uninstall them from your website, they simply take up space and resources. Since you’ll be spending a great deal of time in the backend of your website, look at your plugins. If you’ve been in business a while, your site may have plugins that are old or aren’t in use. In some cases, these plugins could be hogging resources and performing no function whatsoever. If you’re currently on a shared hosting plan, a slow website may be a sign that it’s time to upgrade. In a shared hosting environment, your website shares space and resources with other customers. That means your site must contend for resources with others. If your site gets too big and too popular, you’ll run out of resources quickly. Some web hosts provide upgraded shared hosting plans. But if you want dedicated resources, you should consider a virtual private server (VPS). You’ll still share a machine with other websites. But you’ll have your own slice of the machine sectioned off just for you. You can even customize your environment to suit your needs. Many businesses consider VPS hosting a logical step above shared hosting. Some even consider it a stepping stone toward dedicated hosting. One of the most important speed measurements you can make is time to first byte (TTFB). This is the amount of time it takes for your browser to start receiving information from the server where your website lives. If you’ve taken all the above steps and your TTFB is still high, it could be a problem with your web host. For example, if you’re trying to serve customers in Ireland, you should choose web hosting in Ireland. This will reduce the time it takes for your servers to deliver information to your visitors’ browsers. Some hosts may be able to offer you better packages. Some even offer hosting packages that are built for speed. Learning how to increase website speed on your own can be taxing. You may need the help of a skilled web developer. And while this may seem like a great deal of work, the results are worth it. Consumers and B2B buyers expect websites to load quickly on any device. Irish businesses shouldn’t settle for slow loading websites. If you’re having trouble with your hosting provider or your website’s speed, Host.ie can help. Contact us online with all your questions or call us at 021 202 8058.